This 13-day in-depth cultural tour of Turkey guided by expert English speaking tour guides. Transportation by brand new buses, accommodation at 5-star hotels. All breakfasts, dinner and admissions are included. Visit all the highlights such as Istanbul, Troy, Canakkale, Ephesus, Pergamon, Pamukkale, Antalya, Konya, Cappadocia and Ankara. Trip Type: Group trips average 16 travelers per departure. 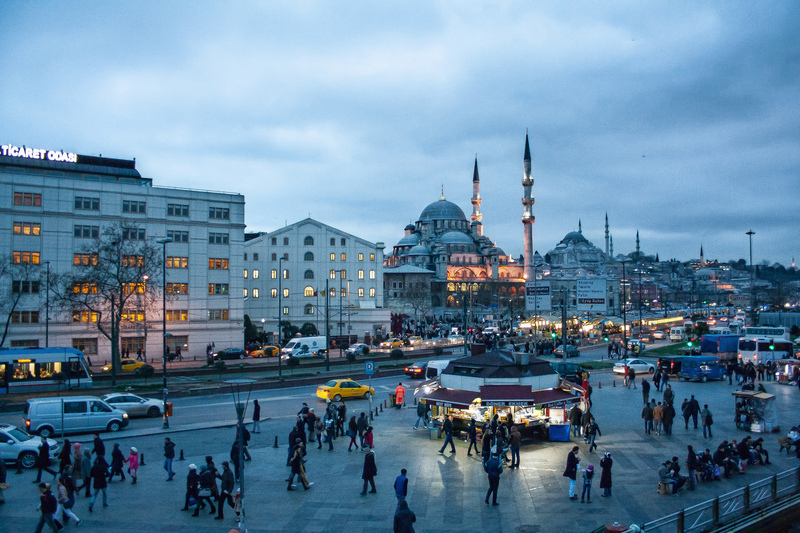 The "Turkey" tour starts & ends in Istanbul (with return flights from New Delhi, India). The tour that takes 13 days taking you from Istanbul to the best selected travel destinations of Turkey. Your trip begins today where you will take you one-way flight to Istanbul from New Delhi. Meet at the airport and transfer to hotel. Overnight in Istanbul. Today we start our day with a visit to the impressive Topkapi Palace, which served as the palace of the Ottoman Sultans between the 16th and 19th centuries. It has a superb position overlooking the Bosphorus. We also pay a visit to the magnificent Haghia Sophia (St Sophia’s Basilica) built by Constantine the Great and reconstructed by Justinian in the 6th century. It is one of the world’s greatest architectural marvels. After lunch we will visit the fascinating and impressive Blue Mosque, famous for its six minarets, its beautiful blue Iznik tiles, unique architecture and marble latticework. Then visit the Byzantine Hippodrome, the center of Byzantine life for 1000 years, where chariot races and competitive athletic events took place. We will also visit Basilica Cistern. Then we will finish the day with a visit to Grand Bazaar which is the world’s largest and the oldest shopping venue. Afternoon we will turn back to the hotel for overnight. Morning departure for Gallipoli and visit Anzac Cove, Lone pine cemetery, Chunuk Bair and Gabatepe War Museum. The Gallipoli Campaign cost the Allies 141,113 casulties and the Turks 195,000. Gallipoli proved to be the Turksʹ greatest victory of the war. In London, the campaign’s failure led to the demotion of Winston Churchill and contributed to the collapse of Prime Minister H. H. Asquithʹs government. The fighting at Gallipoli proved a galvanizing national experience for Australia and New Zealand, which had not previously fought in a major conflict. As a result, the anniversary of the landings, April 25, is celebrated as ANZAC Day and is both nationsʹ most significant day of military remembrance. Overnight in Canakkale. Today first drive to the legendary city of Troy and see the ancient city whose history goes back as far as prehistoric times. See the Trojan horse, Hellenic‐Roman ruins imagining the romantic love story of Helen with Paris and the famous Trojan War. This is where we will literally step back in time through history. The stories of King Priam, Hector, Paris, and the beautiful Helen immortalized this city. Archaeological excavations have revealed nine separate periods of settlement and the ruins of the city walls, house foundations, a temple and theater. A symbolic wooden Trojan horse commemorates the legendary war. The Battle of the Granicus River in May 334 BC also took place nearby Troy was the first of three major battles fought between Alexander the Great and the Persian Empire. Fought in northwestern Asia Minor, near the site of Troy, it was here that Alexander defeated the forces of the Persian satraps of Asia Minor, including a large force of Greek mercenaries led by Memnon of Rhodes. The battle took place on the road from Abydos to Dasclium (near the modern day Ergili) at the crossing of the Granicus River (Modern day Biga Cayı) Next heading out to Pergamon to visit the ancient kingdom of Pergamon, one of the finest sites in Turkey, this city was a great cultural center where we will alos pay a visit to the Acropolis, the Temple of Athena and the famous library, before viewing the Red Courtyard from a distance and the ruins of Asklepion medical center. The Asclepion was a sanctuary dedicated to Asclepios, the god of health. This place is renowned for birth place of snakes being the origin as the symbol of medicine, home to the ancient physician Galenos who contributed to medical literature a lot and also known as a medical center where psychotherapy was first applied as means of psychological treatment in the whole world. Overnight in Kusadasi. This morning we set off for the ancient city of Ephesus where our walking tour includes The Great Theatre, which was built by the Romans between 41 and 117 AD and is still used today; Gymnasium of Veduis, the magnificent Library of Celsius, the Temple of Hadrian, guarded by a head of Medusa, the House of Virgin Mary and the Archeological Museum of Ephesus in Selcuk housing many precious items from the Roman Empire time including the statue of mother Goddess Artemis –Diana. Next we will drive further North of Ephesus to Sardis where the Greco –Persian wars took place. Cyrus of Persia occupied the capital at Sardis, conquering the Lydian kingdom in 546 B.C. building bridges and towered war boats along his side of the river, until he was killed by Darius the Great. Darius ruled over some 50 million people and the largest empire that the ancient world had known. Darius did much to promote trade and commerce. He developed the infrastructure of the empire by constructing canals, underground waterways and roads. He practiced religious tolerance, did not allow slavery and although he invaded Greece, he promoted the idea that the Greeks and Persians were members of kindred peoples. He employed some Greeks in senior positions. He listened to the opinions of non‐Persians but mainly depended on Persians to administer the empire, building on the work of Cyrus the Great. Overnight in Kusadasi. Morning visit to a Leather production center in Selcuk. 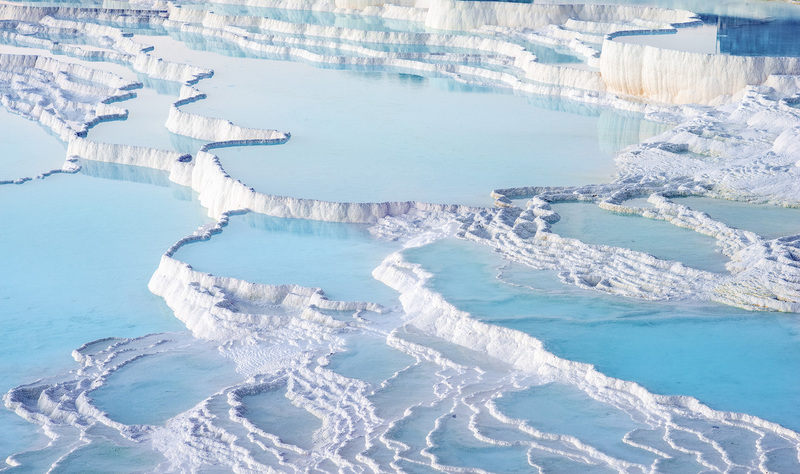 Then onto Pamukkale, famous for its chalk-white natural limestone formations. Visit the ruins of ancient city Hierapolis and see the world famous ‘’Cotton Castle’’ Here mineral-rich hot springs bubble to the surface and cascade down a steep hillside forming the white limestone terraces that give Pamukkale its name, which means “Cotton Castle.” The hot springs have served as a spa for centuries, attracting settlers as early as 190 BC. Beyond the walls of Hierapolis is an extensive necropolis containing more than 1200 tombs from ancient Greek to early Jewish and Christian times. Today there is the opportunity for you to swim in the Cleopatra’s Pool also called the Roman Antique Pool in which you may still see the Roman Ruins sacked at the bottom. We will have a chance to relax and enjoy the blissful thermal pools at our hotel. Dinner and overnight in Pamukkale Hotel. 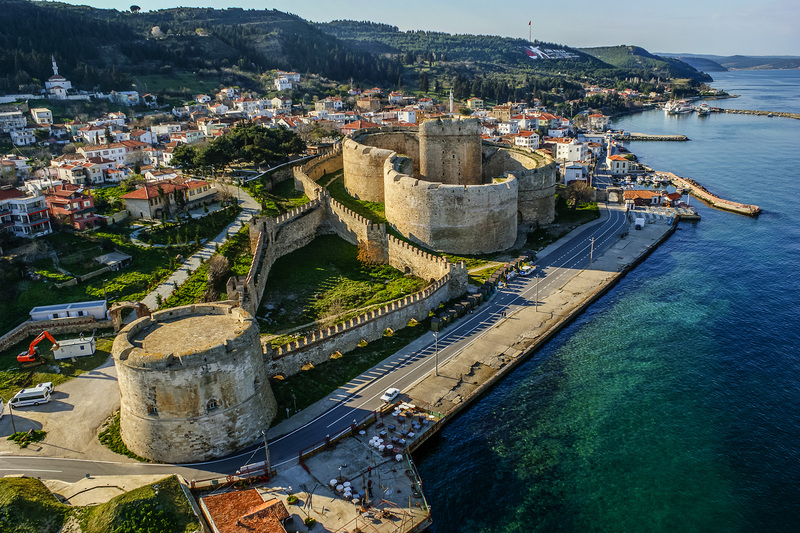 Drive to Antalya and proceed to Perge ancient city that dates back to 1000 BC the capital city of ancient Pamphilia. Visit the magnificent Roman and Hellenistic Structures in the ancient city. Not far from Antalya city center are two of Turkey’s impressive classical Roman sites. 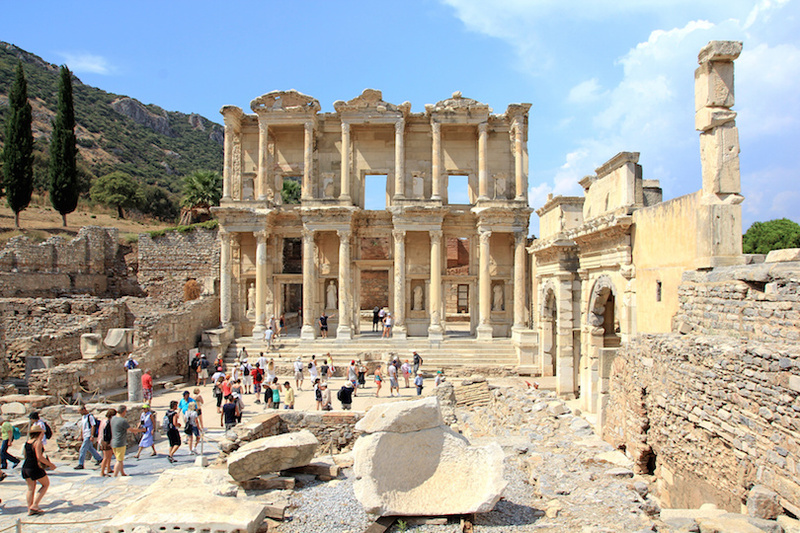 This morning you tour the ruins at Perge and Aspendos. In Perge you visit an entire Roman town, walking along its colonnaded street, past the remains of baths and temples, to a fortified acropolis; outside the city walls are a theater, stadium, and numerous tombs. At Aspendos is a large Roman theater, one of the still intact and best-preserved in the Mediterranean. This amphitheater can seat up to 20,000, and is still used for music and drama festivals. 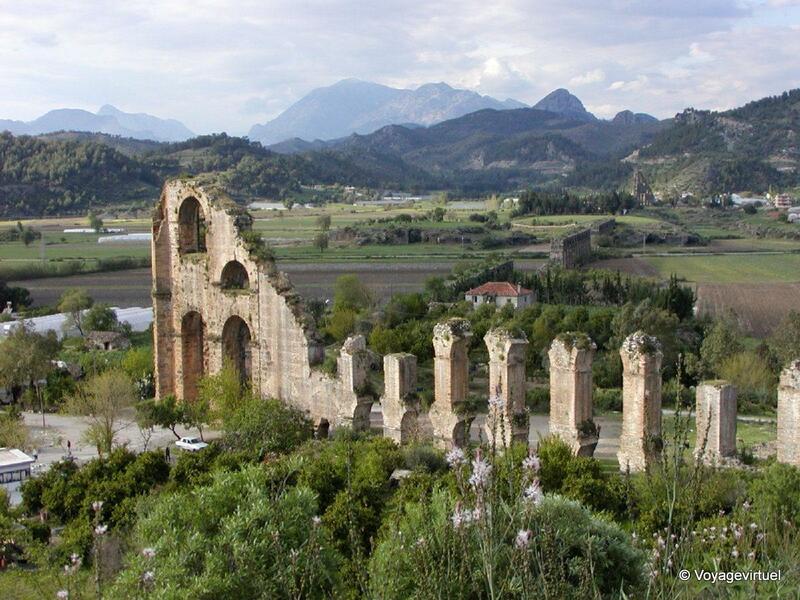 We will also see the famous aqueducts of Aspendos on our tour. Dinner and overnight in Antalya. A day at leisure and opportunities for specially designed optional tours offered by your guide. 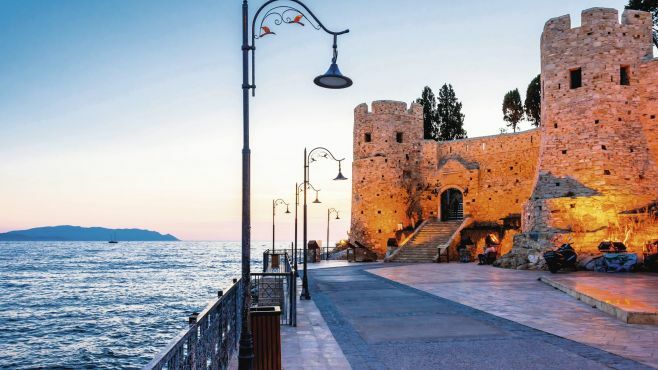 We will provide or guests with selected ancient cities around like Phaselis and cruise in the Antalya Gulf. Overnight in Antalya. Drive to Cappadocia via Konya to see Whirling Dervish Sect. Mevlana Museum houses the philosopher’s tomb and personal belongings. Mevlana Celaleddin-i Rumi has recently been selected “Mystic of the 13th Century” by Time magazine. It was here that the mystic Mevlana Celaleddin Rumi founded a Sufi Order known in the West as the Whirling Dervishes. Mevlana Museum, named after the famous poet of middle ages, known for his mystical poems written in Persian language. This place, Mevlana Celaleddinʹs Mausoleum, was first opened to the public as a museum in 1927. Items and works belonging to Mevlana and the Mevlevi Order, such as Mevlevi musical instrument, specimens of calligraphy, fabrics and carpets, are on display in the museum. Next set out for Cappadocia en route stopping at the magnificent Sultan Hani Caravanserai. Caravanserais were fortified inns, built to shelter caravans stopped on their journeys across trade routes. The Sultan Hani was built in 1229 and features a huge gated entryway, elaborately decorated in the style of the Seljuk Turks. The Seljuk Turks swept across central Anatolia in the 11th century, bringing Islam to Asia Minor, and making Konya their capital city for some 400 years. Continue to Cappadoia and after having several photographic breaks in the area before the sunset proceed to hotel. Dinner and overnight in Cappadocia. In the morning, drive to Cappadocian Valley, meaning ’’ the Land of beautifull horses ’’ an area surrounded by the fantastic landscape of volcanic ashes formed in astonishing shapes all over. Today, begin your explorations of this fantastic wonderland of geological formations. Violent volcanic eruptions three million years ago covered the plateau here with tufa, a soft stone comprised of lava, ash, and mud. The wind and rain have eroded this brittle rock and created a spectacular surrealist landscape of rock cones, capped pinnacles, and fretted ravines. 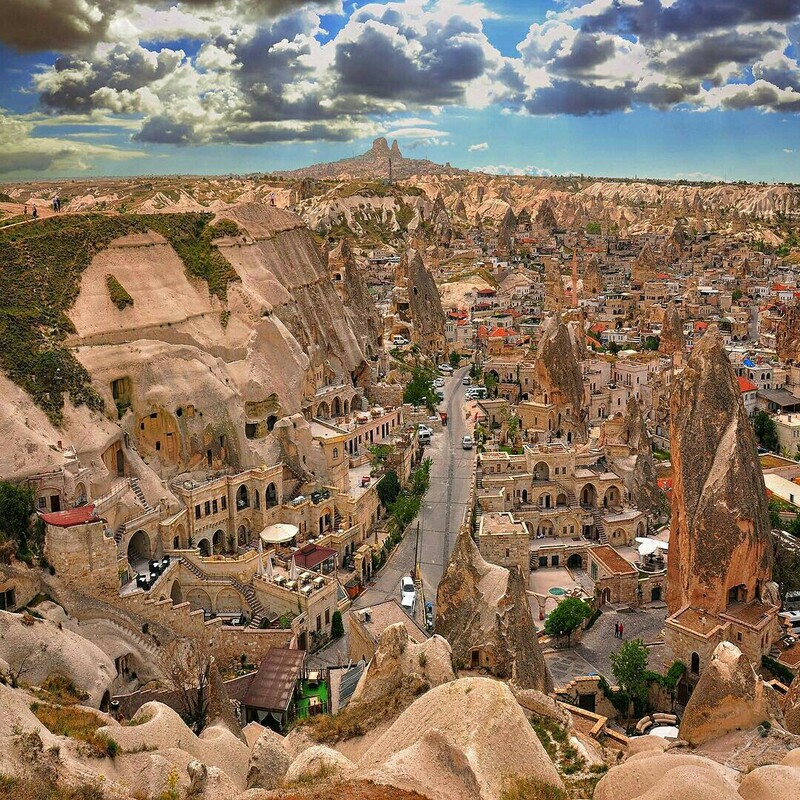 Cappadocia, known now also as Göreme, is one of those rare regions of the world where the works of man blend unobtrusively into the natural surroundings. During Byzantine times, chapels and monasteries were hollowed out of the rock, their ochre-toned frescoes reflecting the hues of the surrounding landscape. The Göreme Open-Air Museum, a monastic complex of rock churches and chapels covered with frescoes, is one of the best known sites in central Turkey. Most of the chapels date from the 10th to the 13th century. 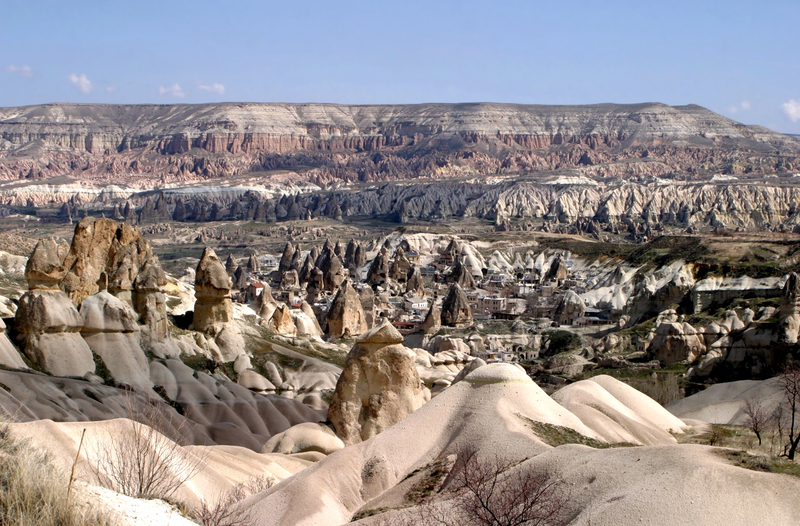 At Zelve you can explore cave dwellings and a rock mosque complete with a minaret made of volcanic tuff. There We will walk through the unusual rock formations and rock-cut dwellings, hidden vineyards, orchards, and tiny farmlands, which are embroidered into the characteristic tufa rock. Pay a visit to teh famous Underground City of Kaymakli or Sarhatli and see a Turkish Rug production center and return back to our hotel for dinner and overnight. Overnight in Cappadocia. 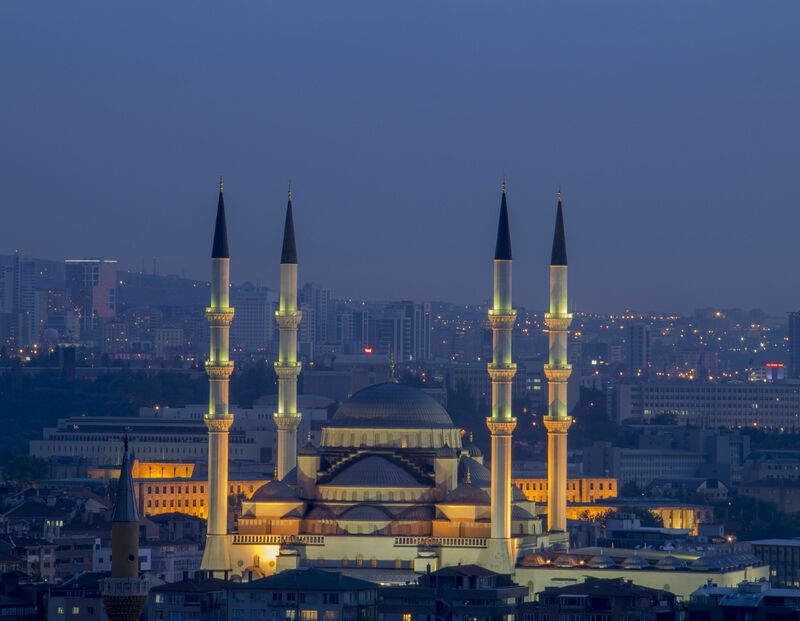 Motor to Ankara and visit the imposing limestone mausoleum of Mustafa Kemal Atatürk and the Atatürk Museum. Then, see the ancient citadel from a distance nearby the museum and the Museum of Anatolian Civilizations, one of the finest antiquities museum in the world, which displays artifacts from prehistoric times to Roman civilizations along with numerous remnants from Stone Age, Neolithic Age, Hittites, Urartians, Phrygians and many others. This museum of Anatolian civilizations will take you to the mysteries as far back as Paleolithic age. Their exhibit includes miraculously preserved wooden furniture from the tomb of Phrygian kind Midas. Dinner and overnight in Ankara. Drive to Istanbul for an exciting program ‘’ discover around the city by subway’’ Get on the subway and travel to the Golden Horn Subway Bridge where you have a breathtaking view of the Golden Horn, Galata Tower, Topkapi Palace, the Mosque Soleman of the Magnificent and Asia. Walk to our coach to discover the historic Orient Express Station and to get on the Cross Continental Subway built in an underneath tunnel through the Bosphorus, also called Marmaray to cross the Bosphorus and end up in Asia. 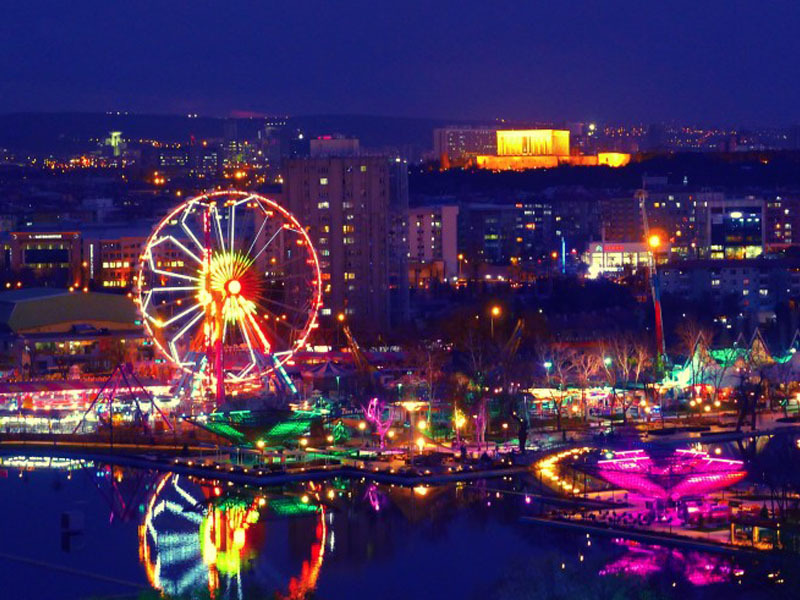 Tonight we will also take you the Taksim Square where is the entertaining district of the city with a large square and have some free time. Your trip finally comes to end, you will be transferred to the airport to take your return flight back to India. – Arrival and departure transfers within Turkey. – All transportation in air conditioned vehicle. – Daily breakfasts and dinners. – English speaking professional guide throughout. – Entrance fees to museums. – All local taxes and service charges. – Travel Insurance: Travel insurance is not included in this tour. It can be arranged by us with additional cost. – Miscellaneous expenses, Souvenirs etc. – 5% GST on Total Package. price: ₹ 181500 ₹ 83500	/Per person in a room for 2 people. price: ₹ 207800 ₹ 109800	/Per person in a room for 2 people. 01. 40% Deposit is required to confirm the booking. 02. Final 60% payment to be made by 20th September 2019. 03. The deposit is Non-refundable. 04. After final payment is made, money paid are 100% non-refundable, nontransferable. Name changes are not permitted. In case of Non availability of the offered hotel at the time of booking, alternate similar category will be offered. DreamsVoyager is not responsible for any Airline unforeseen charges such as Airfare changes, cancellation in any circumstance. Please be informed that most of the hotels have a standard check-in and check-out schedules as follows and are imposing a strict policy on early check-in and late check-out surcharge. Visa In not included in the package. Please inquire with us separately for visa cost. Travel Insurance is not included in the package. Please inquire with us separately for its cost.